It's been another full week of content here at MLSP! 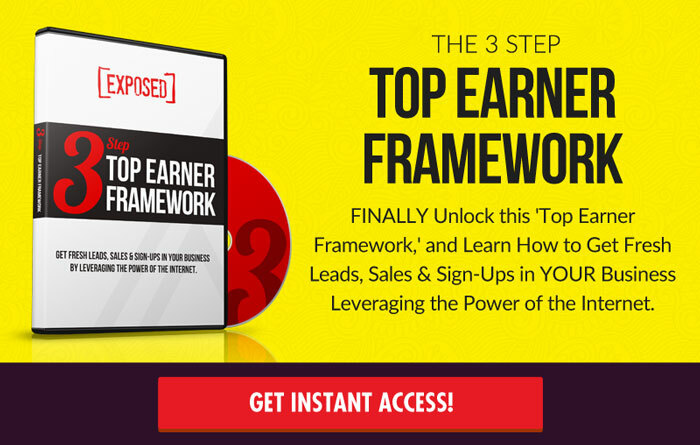 Our leaders have pulled through once again to bring YOU the type of business building mindset principles that take you from where you are to creating a successful home business! We've put together everything that may have slipped past you during the week, all in one spot, so you can consume it all, and be ready for the coming week! Here's what MLSP and our leaders throughout the week! Leah Getts is one of very few MLSP L6 leaders. Her and her husband Todd are the epitome of ‘go-getter' and they've dug their heels in to create their dream life inside this industry. The greatest part is that they give back constantly, and share what they've learned…and continue to learn along the way. One thing that they've gotten really great at is building their tribe. They're constantly pulling in a new audience using a sweet spot of marketing tools and strategies that all come together to attract people to them and their business. You'll get a glimpse into how they do that on this Wake Up Call. The 6 basic rules of how to attract your tribe! The thing that people say when they reach out to Leah that you'll want to start happening to you. How to get people familiar with you so that they begin to trust you! A massively important type of post you should be sharing that makes people LOVE you very quickly! Leah got straight over to the MLSP Facebook Page to go into even more detail on Attracting Your Tribe! Her husband and biz partner Todd Getts joined in, and together these two sent a powerful message that everyone trying to build a home business needs to hear! Mark Harbert is one of the most authentic marketers you'll ever come across. This guy's been with MLSP almost since the inception of this company. If you've ever wondered if this is real, if running a successful home business is doable, Mark is proof that it is. He started this journey knowing virtually nothing about marketing a home business, and now he's the go-to guy for us when we need to know about tons of different aspects of marketing such as video marketing, Facebook ads, and just how to create an audience that knows, likes, and trusts you over all. On this Wake Up Call, Mark talks about something profound that you don't find enough people talking about, and if you're serious about creating the life of your dreams, you'll listen to every single word that Mark shares on this call. What someone said to Mark at a Denny's restaurant that started him on the path of home biz success. What your results are reflective of when you're on a journey of any sort, especially a home business. Who people are truly looking to join in this industry, and the pathway to become that person. The biggest reason that 97% people haven't achieved their dream and how YOU can become the 3%! Immediately after Mark Harbert's WUC, MLSP CEO Brian Fanale took the discussion over to the MLSP Facebook Page. This is an important topic because your beliefs will dictate your thoughts and actions. Those thoughts and actions either lead you to success or keep you stuck. Mr. Fanale understands this on a deep level and got right into it! The head honcho of MLSP grabbed the mic for the MLSP Wake Up Call on Wednesday. How many other CEO's take this much time and effort to make sure their members are armed with the best mindset to achieve their goals? That's exactly what Brian does every single day. He's a man on a mission, and that mission is YOUR home business success. What Brian believes holds the key to why most people who start a business (any business) do not see success! The staggering statistics that you have to know so that you can defeat it! The mindset that this young multi-millionaire KNOWS you have to have (and he had) if you want to create a six-figure, seven-figure, and even an eight-figure business! What you cannot be afraid of if you want to get your business moving in the right direction. The reason the entrepreneurs fall off the rails, and the remedy to prevent it! MLSP's fearless leader hopped over to the MLSP Facebook Page to talk more about “The Curse of the Dabbler” and really drive home why this can kill your success! The fact that you're here reading this means that success is important to you. But are you dabbling your way through? Brian will show you the secrets to losing the dabbler mindset and habits holding you back! Diane Hochman is celebrating 18 years in the industry. The amazing thing is that every year has been profitable for her. And in doing so, she's not sitting back and resting on her laurels. Instead of sipping drinks from coconut drinks on the beach (although she does enjoy a bit of that as well) she's doing what she's always done! Giving back to the community. So YOU can get to the lifestyle that's she's able to enjoy. What's her secret to getting there? MENTORS! In today's Wake Up Call she touches on exactly that! Why the word Mentorship is sacred to Diane Hochman and should be to you! The first thing that you have to do if you WANT a mentor. The important difference between a coach and a mentor… and why it matters. What Diane did early in her career when she was looking for a mentor that makes a huge difference when you find one! What mentors are actually looking for, and how to use that knowledge to your advantage!! A surprising fact about mentors that you wouldn't think is true! Diane was obviously fired up about this topic that's so dear to her heart, and brought the discussion straight over to dive deeper into it! If success is important to you, and you didn't catch this powerful Facebook LIVE on Thursday here's your chance to do it now! Here's something you may not realize about this amazing woman. If you've brought in people to MLSP, and they've gone on to have results, there's a good chance that Keysha is huge reason for that. You'll see why when you listen to Brian Fanale's intro to this awesome ‘Wake Up Call' from Friday! What you ALREADY have inside of you that can propel you forward no matter what. One of the most powerful statements that you can make about your life that can dictate where your success goes! The most critical minutes of your day that will help you operate at the highest vibration possible! Keysha took the “I Am Enough” message right over to the MLSP Facebook Live and dug her heels in even deeper so that YOU can understand that YOU already have what you need to become a leader and success in this industry. This was a powerful statement from Keysha so if you missed it, you'll want to watch below! All Caught Up on the MLSP Content from This Past Week? 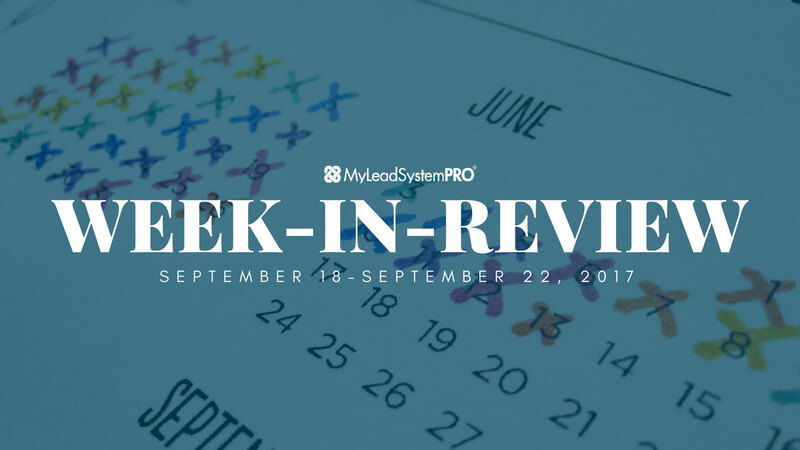 Everything is a typical week at MLSP! This is a community that loves to give back so that those people out there…people like YOU…who are hungry for more can do great things in their lives. We want to give you the tools, the training, and the MINDSET to take back control of your life. P.S. Did You Get Anything from This Week's Content? Let us know in the comments below what part resonated with you or changed the way you see your future turning out! What will YOU do differently in coming week because of what you've seen on this MLSP Week-in-Review today!